Wccftech's Best Strategy Games of 2017 - What the Hell We Fighting For? 2017 had a lot to live up to. Honestly, too much. I declared, a year ago, that 2016 was a golden year for the genre. This is something that I stick by as a number of those games still steal enough of my time to this day. However, this isn’t about 2016. Now we have to get out our shovels, don our Fedora’s and dig up the (recent) past. As the resident general of Wccftech, I have the distinct pleasure of revealing the best strategy games of 2017. Only titles that have been released are up for consideration and as such, titles in early access are disqualified. Also, don’t forget to check our most anticipated strategy games of 2018. 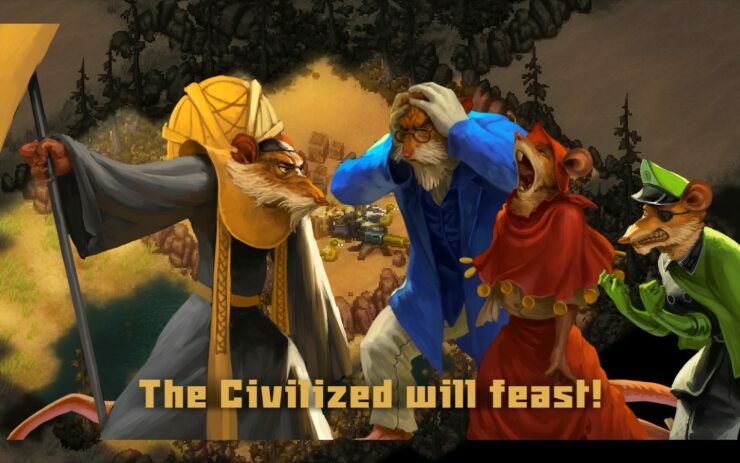 Subgenre: Real Time Strategy. Platform: PC. This is the first of three titles from SEGA to feature on the list this year. As early as last year, when I had a hands-on with Dawn of War III, I knew it was going to be great. In my very own review, I cover how Dawn of War III certainly isn’t revolutionary, but it learns from the past. Eschewing the complete Real-Time Tactics style of Dawn of War II, the return of base building and grand battles sets this iteration apart. While far from perfect, with a campaign that can feel like a slog. Missions will drag on and be more a hindrance to your enjoyment than actually give you a good time. This is particularly so when you consider the requirements to unlock more units comes from skulls obtained in these missions. However, multiplayer also lets you obtain skulls. That was seemingly Relic’s primary focus, multiplayer. What a fantastic multiplayer mode it is. Fast paced, intense and pitched battles more than make up for any of the game’s shortcomings. With a wide variety of units, all well balanced, the game stays engaging and makes for one of the most entertaining strategy games around. 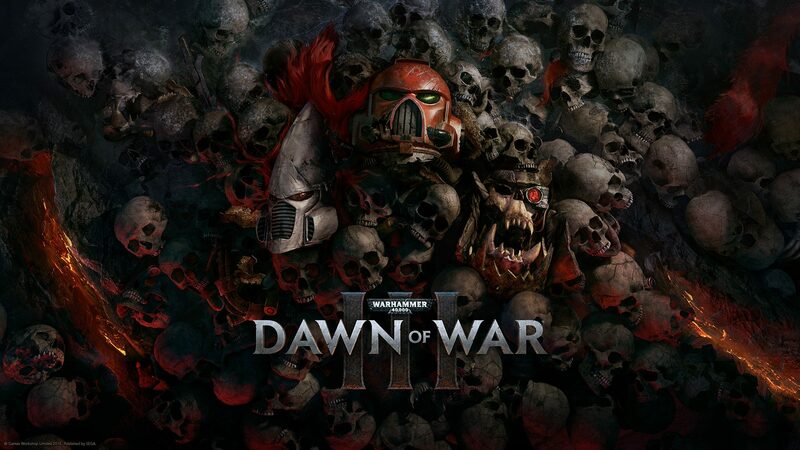 It returns Dawn of War to the tense, engaging and entertaining spectacle it once was. Of all the strategy games released in the year, Steel Division was one of the most interesting. Publishers Paradox Interactive are well known for their role in the strategy genre, bringing arguably the most detailed strategy games around in the form of Europa Universalis, Hearts of Iron and Crusader Kings. Coming from Developers Eugen Systems (R.U.S.E, Wargame series), there was a lot of pedigree going into the game. Steel Division strives to adapt the rock, paper, scissors that pervades traditional RTS games. It does this with interesting features like the psychological effects on units. Explosions start going on around units, they’re naturally going to take cover. The way this differs from other titles is how stress impacts different units. Vehicles can take orders, at a risk, but will naturally slowly retreat backwards. Infantry, on the other hand, will freeze, take cover and be unable to return fire. Of course, this isn’t much more advanced than other games stress systems. Steel Division enhances this by increasing an amount experienced units can take, making the stress system even more dynamic. It works even better when combined with the territory control system as you push the front line. This allows for more advanced tactics, the capture of enemy units and more. 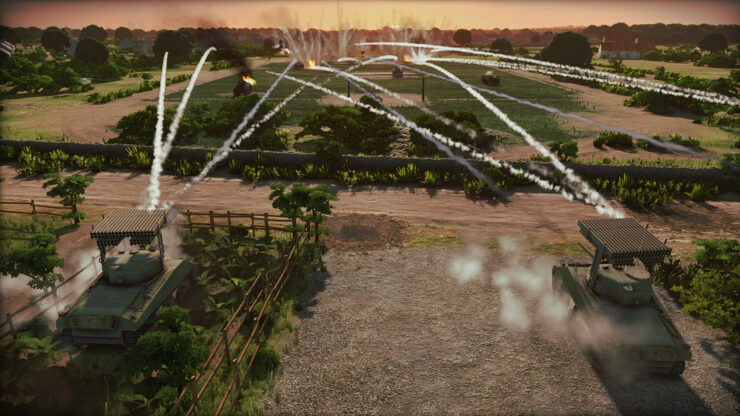 Combat on the battlefield in Steel Division takes the format that Eugen Systems have built and improved it to a polish. The mediocre at best campaign is a let-down, primarily as a result of how boring it can be. Thankfully, this is redeemed by one of the best multiplayer modes to be found in a strategy game, one on such a grand scale that its systems allow for fantastic emergent stories. Holding out in a small village, drawing enemy fire as a distraction while you amass a larger assault. All things considered, Steel Division: Normandy 44 acts as one of the most engaging RTS games around. Sega strikes again, with Amplitude delivering yet another excellent game in their Endless Universe. Where Endless Space 2 diverted from the first, and other spacefaring 4x games, is just how accessible everything is. Endless Space 2 is one of the most inclusive games of its type around and manages this without losing any of the complexity that comes with the genre or setting. It wasn’t completely without issues. Following seven months in Early Access, Endless Space 2 didn’t launch without any criticism. Some players still suffered from a few bugs here and there. I personally suffered from what was a story breaking bug at the time. Thankfully, patches have improved on what was already a fantastic game. Now, should you jump into Endless Space 2, you’ll encounter a strategy game with some of the best storytelling around. Quests and missions work perfectly together with the strategy, politics and eventual conflicts that occur in the galaxy. The only part that hasn’t got the depth or personality are the hero characters which are interchangeable and ultimately forgettable. 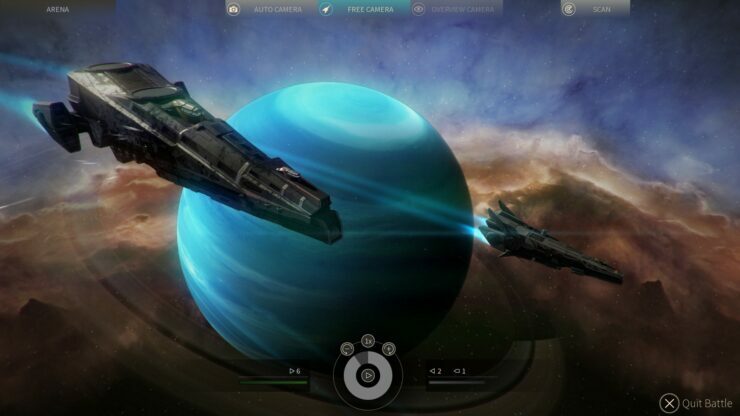 Minor qualms aside, this is arguably the best space-based 4x strategy game available today. Subgenre: Turn-based Tactics, Role-playing Game. Platform: PC. 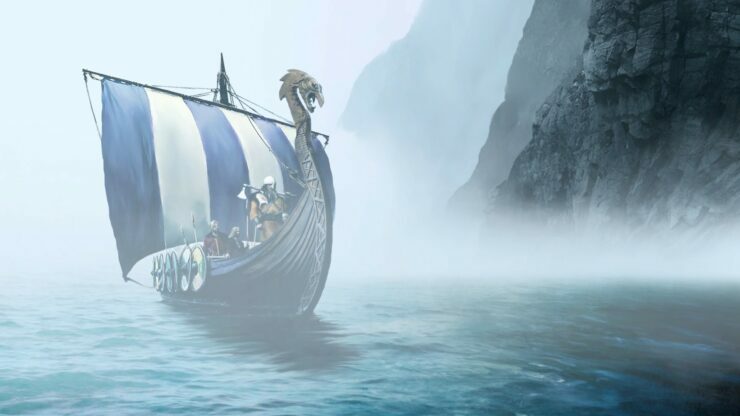 Expeditions: Viking could very easily be placed in either a top Strategy or RPG list of the year. What makes it shine is the combination of both. It started with a fair share of bugs, which I was always fairly lucky to avoid, but couldn’t be ignored. Fortunately, developers Logic Artists have stuck with the game and fixed most of what ailed the game, allowing it to show what it offers. What it offers is an excellent mixture of fantastic tactical combat which uses the detailed world and character building to make a compelling world to explore. Take the position at the head of your clan, build up, survive and even thrive. As you explore the world, you’ll also see the consequences of your choices. Will you show mercy, potentially gaining an ally or just allowing an enemy to come back again? Will you be a bloodthirsty tyrant, likely lowering your number of followers but ensuring only the strong survive. The RPG system merges with the tactical combat well. As your party grows closer, morale raises. This directly impacts characters in battle, their ability to face more difficult challenges. Or the opposite, as the case may be, should they disagree with your choices. Your impact on the world runs throughout and makes for an incredibly engaging and atmospheric game. Subgenre: Grand Strategy. Platform: PC. This is SEGA’s third and arguably best title on the list. It’s also a sign that the folks at Creative Assembly definitely know what they’re doing. 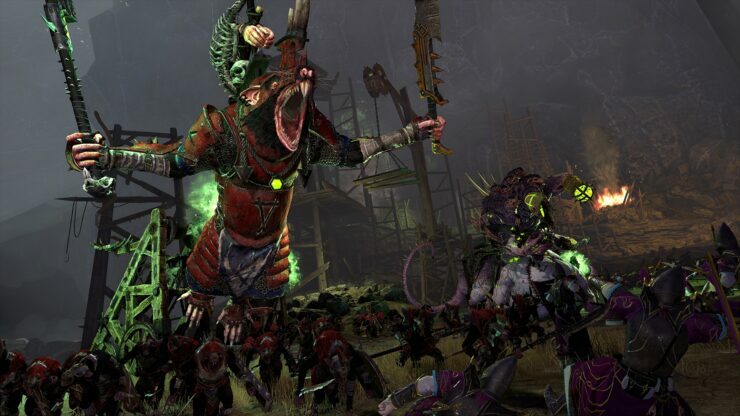 Anybody could have had misgivings when Total War: Warhammer II was announced. A second total war game released just a year after the previous one, surely not? Fortunately, any concerns were swiftly put to bed. Where Total War: Warhammer II truly shines is where it built upon the first. Moving away from the fairly traditional armies of the humans, vampires and Dwarves, we now have the adorable (?) Skaven and fearsome Lizardmen. 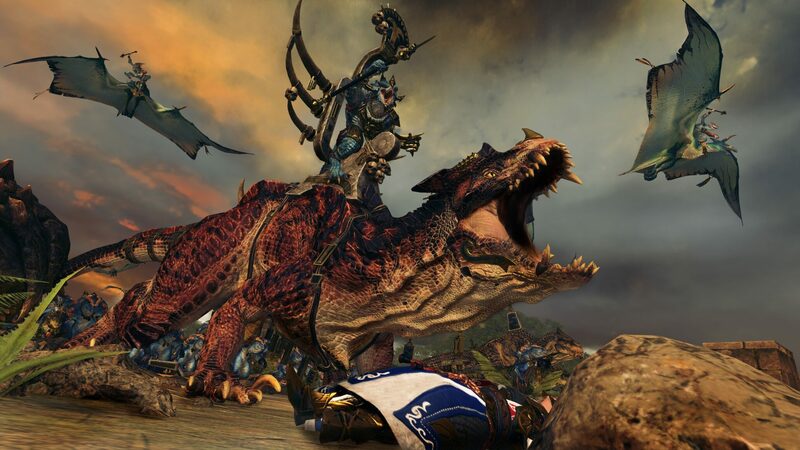 Utilising the Warhammer setting is something this series desperately needed and it truly went for it in this game. There’s a fantastic spectacle in watching a dinosaur, riding an even bigger dinosaur, facing up against some giant lab-created monstrosity. 2017 hasn’t been a truly standout year for the genre. This isn’t to say it’s been a bad year though, this list is proof enough of that. A few titles have been exceptional. In addition to this, a few from my anticipated list for the year haven’t actually been released. While it won’t be looked upon in the same light as 2016, it certainly had its highs. What I have noticed is that most titles have avoided being downright terrible. While it could be argued that some were pretty poor. Valkyria Revolution as an example was poorly received, though our own Kai rated it highly. Other games like Sudden Strike 4, Oriental Empires and Constructor HD had mixed receptions. Overall, SEGA has rapidly established itself as the go-to publisher of excellent Strategy games. For twelve years they’ve owned Creative Assembly, but the acquisition of Relic in 2013 and Amplitude last year has seen the culmination of this push. This year alone has seen three outstanding titles in Endless Space 2, Dawn of War III and Total War: Warhammer 2. If I’ve missed anything, feel free to grab your pitchforks and roast me down in the comments. While you’re at it, don’t forget to tell me which is your top strategy game of 2017. Until we meet again on the battlefield, have a happy new year.